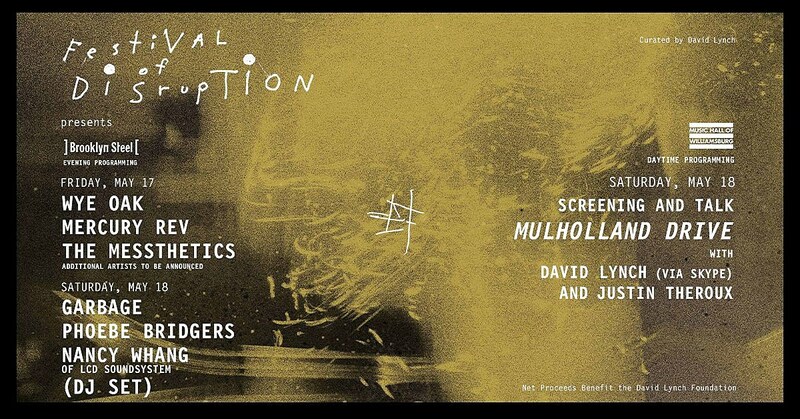 Saturday also includes a separately ticketed daytime screening of Mulholland Drive at Music Hall of Williamsburg followed by a Q&A with star Justin Theroux and Lynch (who’ll join via Skype). Tickets for the NYC Festival of Disruption go on sale Friday, March 22 at noon. In his MasterClass on Creativity and Film, David teaches you his approach to making films that defy the limitations of traditional storytelling. Learn how David catches new ideas and translates them into visionary narratives and atmospheric environments through cinema. Discover how he works with actors and other creatives on set, approaches production and postproduction, and embraces the art life in all he does. By deconstructing his process for catching new ideas and allowing them to guide each step in bringing his vision to the screen, from writing scripts to making the final cut, David teaches you to connect with your own creative capabilities and apply them to film and other forms of art. Watch a video for David Lynch’s MasterClass below. Phoebe is also busy with Better Oblivion Community Center, Mercury Rev just released the guest-filled tribute to Bobbie Gentry (which Phoebe contributed to), Garbage continue to celebrate 2.0‘s anniversary, and Wye Oak play NYC tonight as part of the Ecstatic Music Festival.